Superdry men’s 34th Street t-shirt. 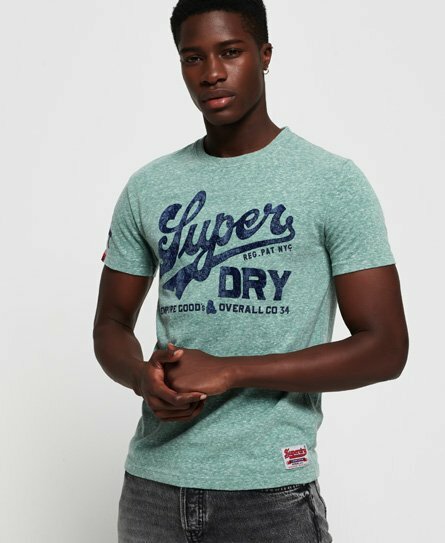 This short sleeve t-shirt features a crew neck, a textured Superdry logo across the front and a number graphic on the sleeve in a cracked finish. Completed with a Superdry logo badge above the hem and a logo tab on the sleeve, the 34th Street t-shirt is an all year round essential.